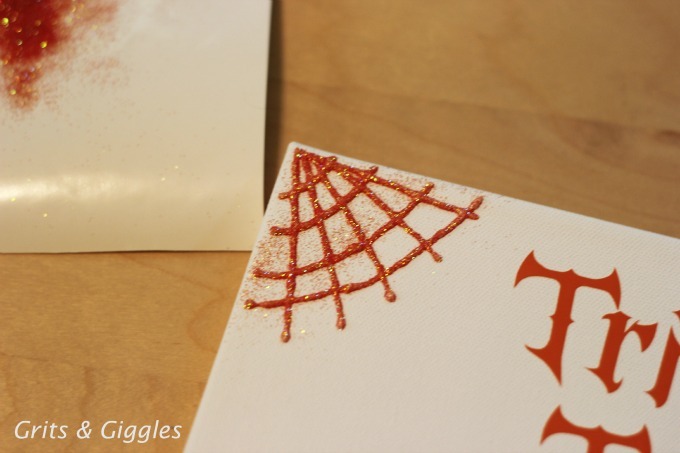 Day 7 of 20 Crafty Days of Halloween and my friend Jenilyn of Grits & Giggles is guest blogging today! 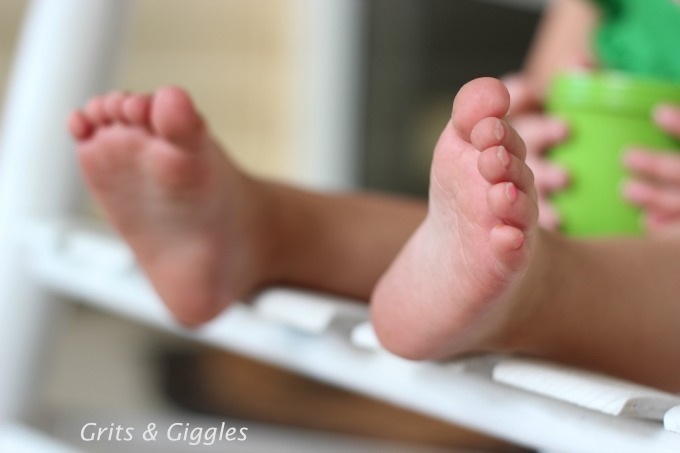 Oh goodness, there really is nothing better than tiny baby feet! 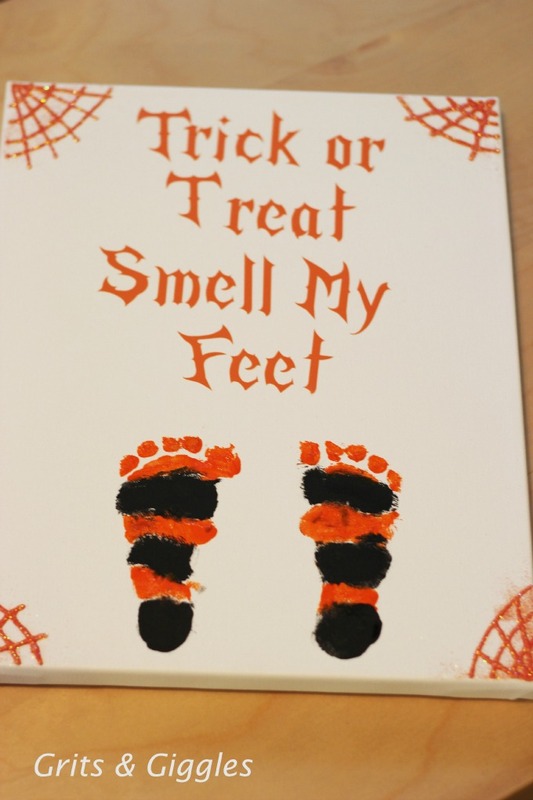 Check out her Trick or Treat footprint art tutorial! 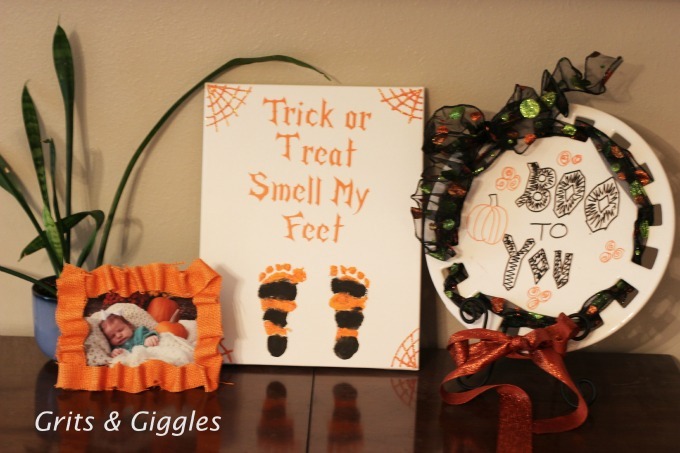 Don’t forget to link up your Halloween crafts, recipes and decor HERE. 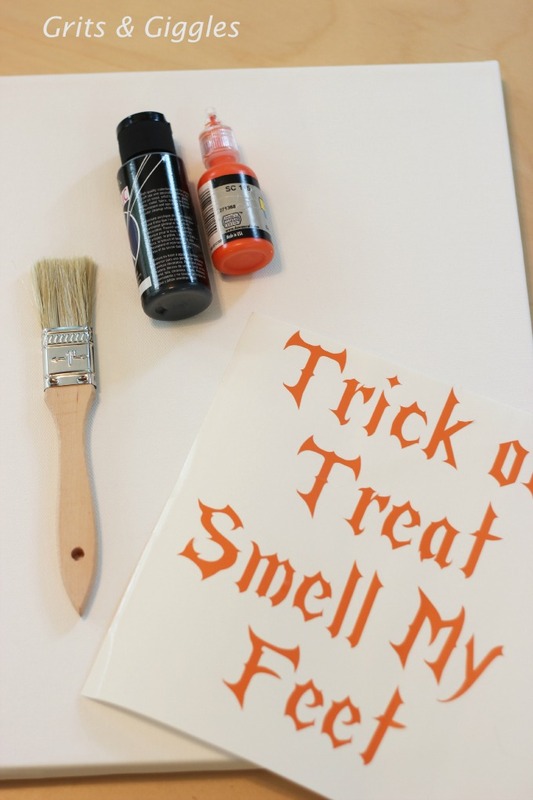 I’m so excited to be back at See Vanessa Craft today to share a fun Halloween project with you! One of the cutest things on the planet HAS to be baby feet, and I wanted to make sure I captured mine while they were still little. What better way to do that then to make an art piece to use for years! 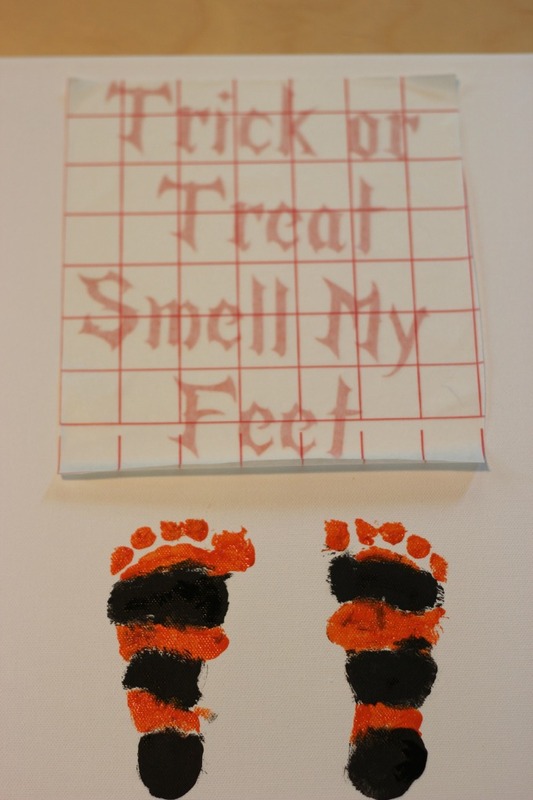 Today I’m going to share with you how to make “Trick or Treat” wall art using precious baby feet. Let’s get started! You will also need a set of tiny baby feet! 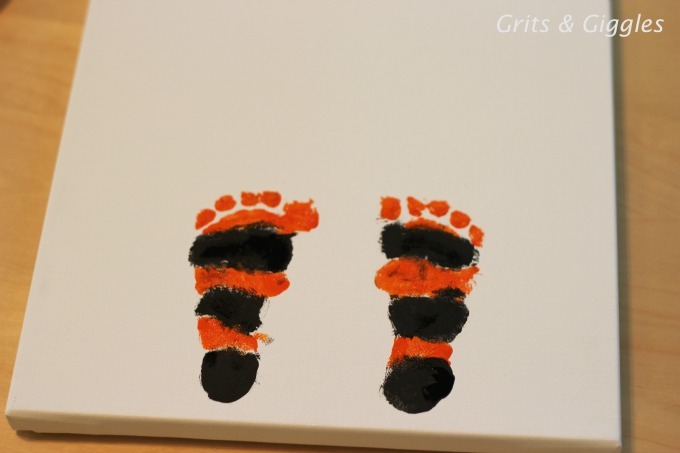 If your child’s feet are larger, you may need a larger canvas, or make your wording smaller so everything fits. 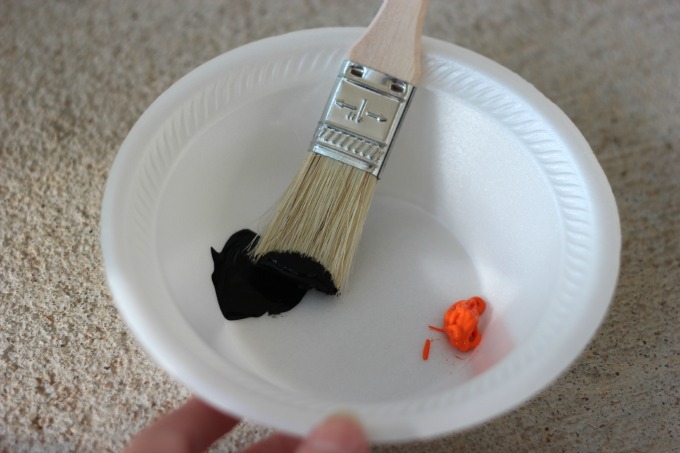 Step 1: Place your acrylic paint in a bowl and take it outside. This can get messy! Step 2: Paint your baby feet however you like. I liked the black and orange stripes. 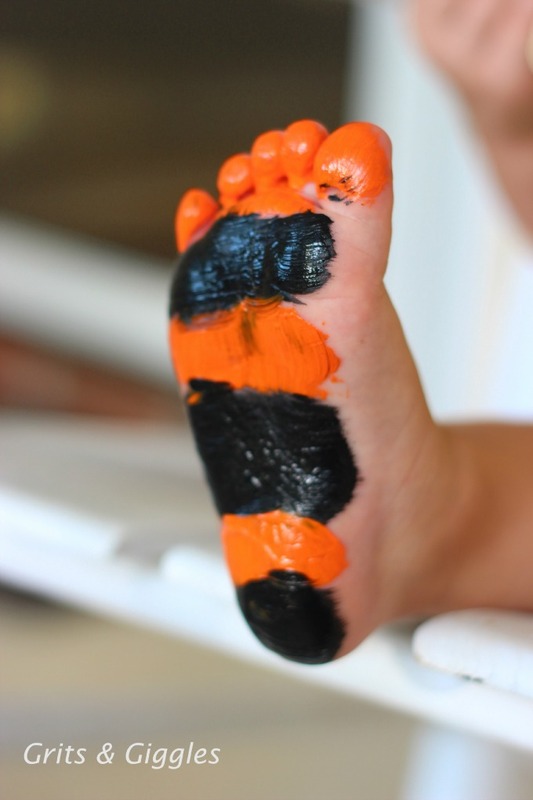 My little one tells me that paintbrushes on your feet “tickles”, so expect some squirming! Step 3: Press the feet firmly onto the bottom of the canvas. 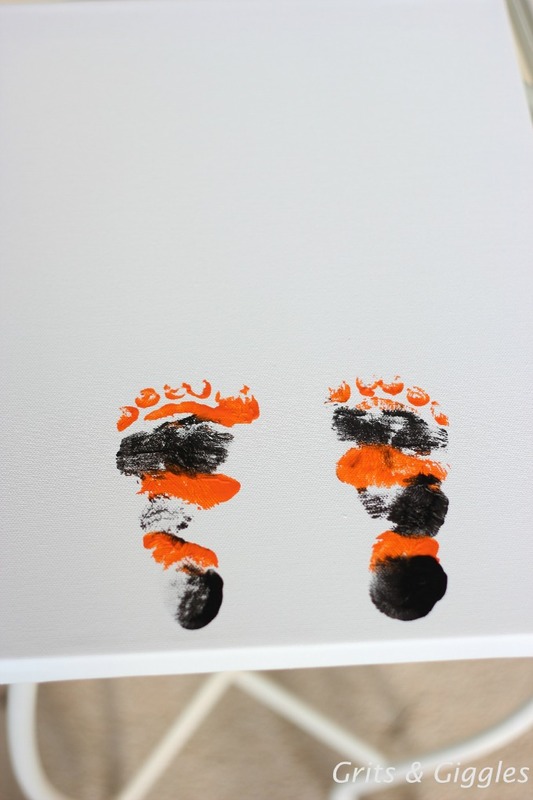 Step 4: Use your paintbrush to carefully touch up any bare spots on your footprints. They don’t have to be perfect, just fill in where it really needs it. Step 5: If you have a cutting machine, you can make a vinyl sticker or stencil of your wording. If you have a steady hand…just freehand it! The font for my wording is “Mirage Gothic”. You can download it for free It’s perfect for Halloween! Step 6: Apply your wording to your canvas above your feet. Make sure the feet are dry first so there’s no smudges. 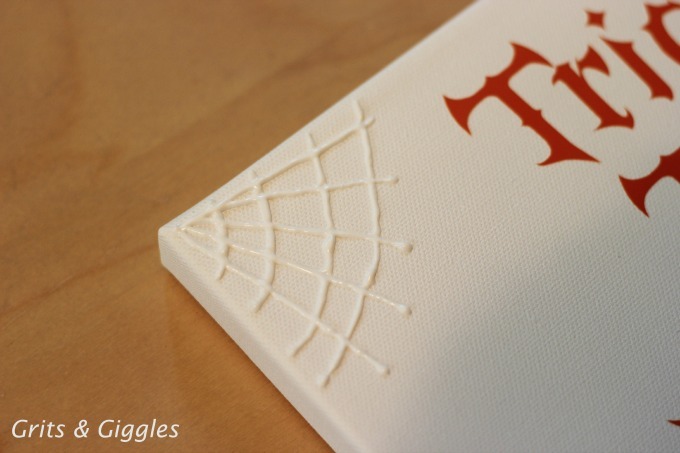 Step 7: To add some fun, use your white glue and draw some spider webs in the corners of your canvas. Step 8: Sprinkle them with glitter, and shake the excess glitter off. Step 9: Once it’s dry, use a brush to remove any excess glitter that stuck to the canvas. You’re done!! 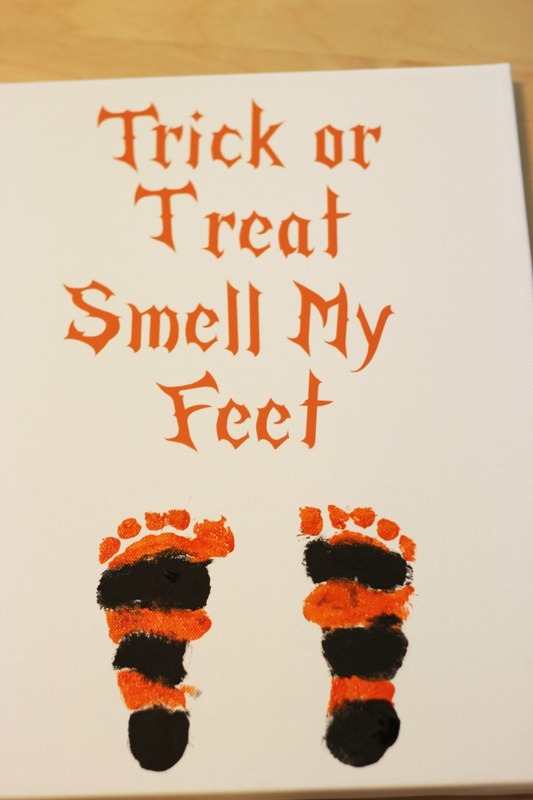 Add it to your mantle or buffet to enjoy this Halloween season. Make sure you write the year or your baby’s age on the back to remember when they had those tiny footprints! Hey Ya’ll! I’m Jenilyn and write all about my adventures in Mommyhood and crafting over at Grits & Giggles. I’m a southern girl who is crafting my way through Mommyhood! My world is full of cloth diapers, fabric, glitter and hot glue. Thanks again to Vanessa for having me over! Oh that’s adorable-and i love the glitter webs!